Reflexology is a compression technique using the thumb and fingers to work on precise reflex areas on the feet or hands. Reflexology is based on physiological and neurological principles that these Reflex areas correspond to all organs and parts of the body. Reflexology is a complementary therapy: it complements and promotes the healing process already in place by your health practitioner. Reflexology therapy works naturally with your body, assisting homeostasis in body and mind. Reflexology improves coordination between the bodily systems by relieving congestion, aiding circulation & relaxing muscles. Working the solar plexus reflex initiates an alpha state (The state of relaxation before falling asleep). Reflexology thus facilitates stress relief through achieving an alpha state of relaxation. Benefits stress related conditions by initiating the relaxation response. Reflexology facilitates the functioning of the nervous and circulatory system. Enhancing circulation increasing both the supply and removal of substances on a cellular level; improves the oxygen supply and removes acidity. Benefits any condition where improving the body's circulation and nerve impulses may facilitate the condition. Reflexology promoting homeostasis; a state of harmony between body, mind and emotions. ​Benefits general well-being by restoring inner balance. Here are some questions that clients often ask. Maybe you were also wondering and don't know who to ask? please contact me with your concern. Reflexology is suitable for anyone regardless of age or state of health. Even if the is no physical ailment, Reflexology is suitable for just relaxation. In the Clinic. Once the client's needs have been established;the Reflexology Practitioner would alter the length of the session, the frequency of the session or reflexes worked. Would Reflexology interfere with my medications or current treatment? No, Reflexology works with the body's natural healing potential and does not interfere with medications or treatments. In the Clinic. There are circumstances where caution is exercised. Your Reflexology Practitioner would access your situation and advise on session length and frequency. Questions that your practitioner may ask is: Are you pregnant?, heavily medicated?, using chemotherapy? This does not mean you can not have a Reflexology treatment, it would just alter the therapy approach. Does a Reflexology treatment hurt? Clients have differing levels of discomfort. 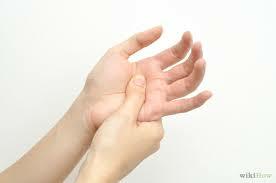 When a sensitive reflex is worked there may be a level of discomfort but not pain. In the Clinic. The Reflexology therapist would adjust the pressure or technique to accommodate the client. If you feel sharp pain or tingling tell your practitioner. A sensitive reflex has been described as feeling like a bruise or pleasant discomfort ( a nice pain). My feet are too ticklish for Reflexology? This is not normally of concern as the feeling of the treatment does not affect a ticklish person. In the Clinic. If your treatment feels ticklish, tell your practitioner. The treatment pressure may then be adjusted or the therapist can work on your hands instead. Can I combine other therapies while I am doing Reflexology? Yes, Reflexology is a complementary natural therapy and hence does complement is effectively utilized together with other therapies. In the Clinic.The Reflexology therapist can advise the client to spread out the therapies, so that they are not on the same day, in order to allow the body to adjust to the treatment. How often can I receive Reflexology? There is no prescribed frequency; it is dependent on the clients’ needs. In the Clinic. The Reflexology Practitioner will advise on the frequency of visits based on your unique situation. Generally the first 2-5 sessions are twice a week or once a week, after which it could continue to be once a week or every second week. Clients on a maintenance plan see a Reflexologist once a month. REMEMBER it is still entirely up to you and what suites your unique needs. How long is the session to be effective? This is a good question and has many answers depending on who you ask.The length of session is dictated by therapy norms. By this I mean is that most therapy sessions are 1 hour, regardless of the type of therapy. A client is paying for 1 hour. However, this does not mean that it takes an hour for Reflexology to be effective. Sessions can be from 10min to 1.5hours, with both being effective. The general understanding is to have higher frequency of visits than longer session times. In the Clinic. The length of your treatment will depend on your Practitioner. Generally in a clinic situation it will be an hour to fit in with a calendar day structure.